Don’t be a Grinch this Christmas! 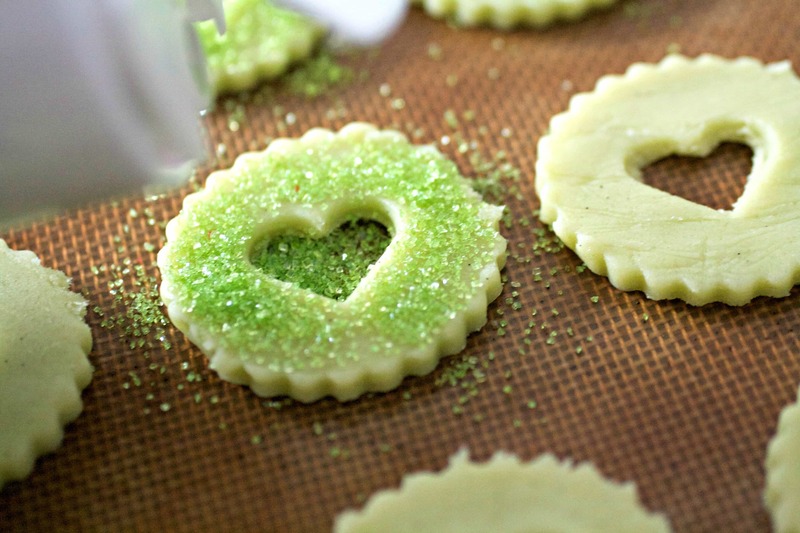 Make this easy Grinch Heart Raspberry Filled Sugar Cookies recipe to celebrate the holiday season. The perfect sugar cookies recipe for the holiday season! This Grinch sugar cookies recipe is bound to become your family’s favorite. It’s an easy sugar cookie recipe that’s so perfect for Christmas because everyone LOVES The Grinch! 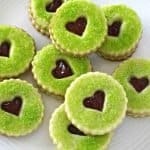 And it’s got flavorful raspberry filling sandwiched between two tender and light sugar cookies, covered in green sprinkles. It’s a cute and unusual cookie everyone will love! It’s also one of my best Christmas cookie recipes, so be sure to add them to your holiday cookie platter. Originally published in December 2014, this cookie recipe is always a huge hit each holiday baking season, so I decided to reshare it. That year in 2014, as I was watching “Dr. Seuss’ How the Grinch Stole Christmas” to get into the holiday spirit, I was also thinking about what kind of Christmas dessert recipes to do for the blog. Gingerbread men, snickerdoodles, Mexican wedding and linzer cookies all came to mind, but the jelly filled sandwich linzer stood out. 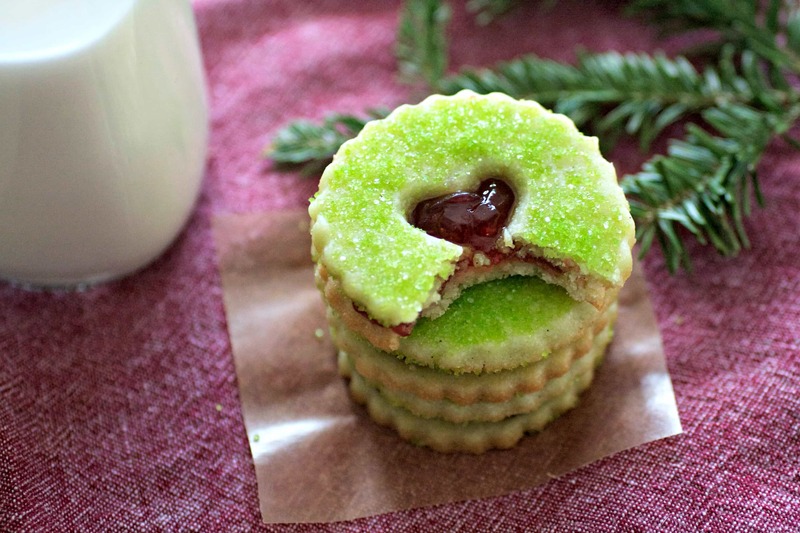 Linzer cookies typically have nuts in the dough and I didn’t want that, so I came up with a Grinch sugar cookie with a raspberry filling for his heart. I had just bought this Linzer Cookie Cutter Set and thought the small heart cutter would be perfect for the center of the cookie. If you don’t have a heart cookie cutter, just use a small paring knife to make the heart or use a round cookie cutter. Preserves vs jam vs jelly: what’s the difference? 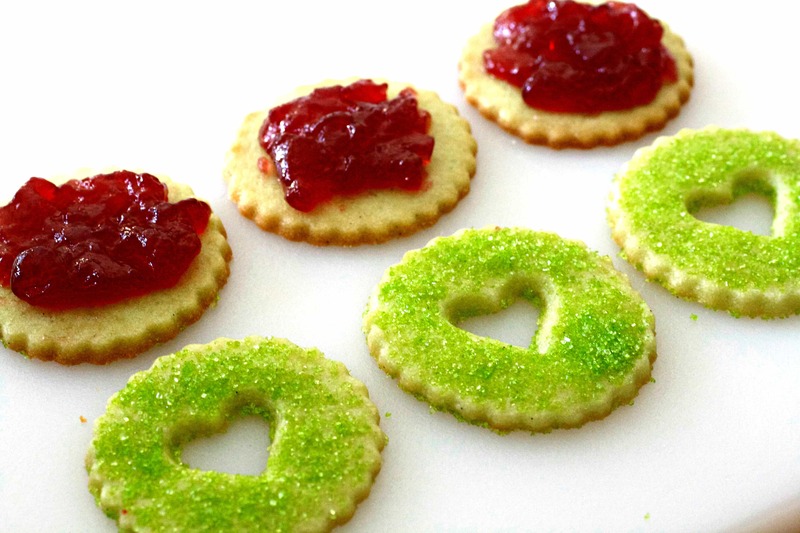 Preserves, jam, or jelly can be used for the center of the Grinch cookies. The difference between the three has to do with the form the fruit is in. Jelly is made with the juice, so it’s smooth. Whichever you decide to use for your best Christmas cookies, be sure to buy a good, all-natural kind, or make your own. Because you don’t want to go through all this hard work just to have your homemade cookies ruined by some crappy tasting fruit spread. Save time by using pre-made cookie dough or freeze the baked, unfilled cookies ahead of time! 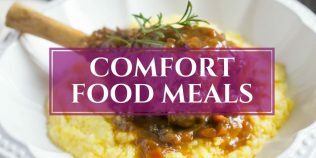 This recipe has a homemade sugar cookie dough, but use a store bought cookie dough, if you are short on time. The baked cookies can be frozen too, before they are filled with the raspberry preserves/jam/jelly. Just put the unfilled cookies in a freezer proof plastic bag or container and store for up to 2 months. Here’s the butter/sugar mixture all mixed up and fluffy. This green color is definitely more “Grinch” looking after using 3 drops of food coloring. I’m thinking of using 4 drops next time to give the color a little more “pop”. 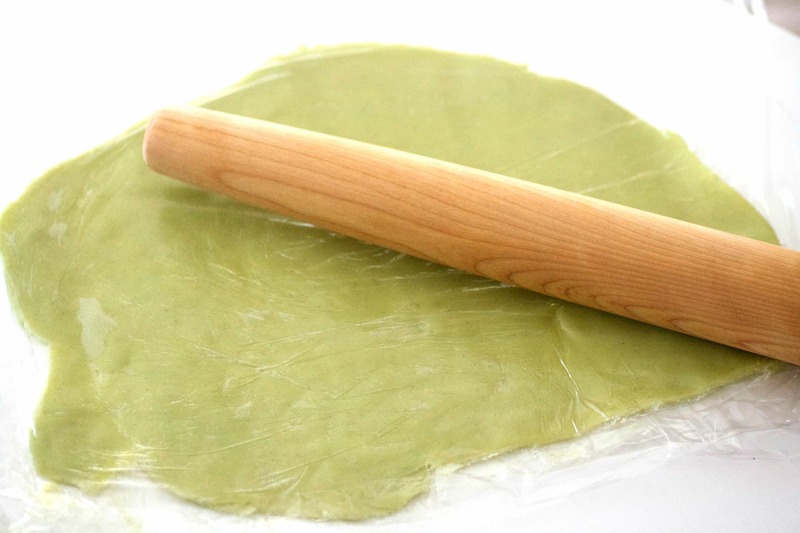 Rolling out the dough between two sheets of heavy duty plastic wrap or parchment paper makes it easier to handle. If it gets too sticky, just place back in refrigerator to firm up. 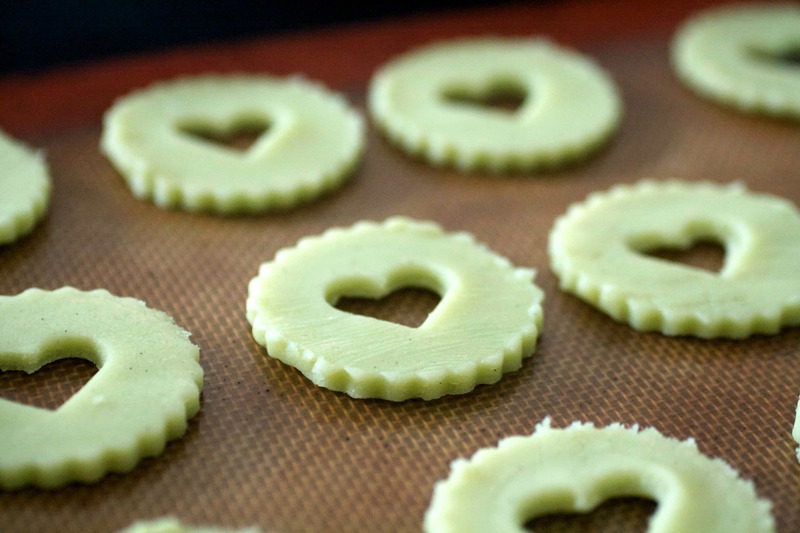 My Linzer Cookie Cutter with the heart insert was ideal for making the adorable little cut out! 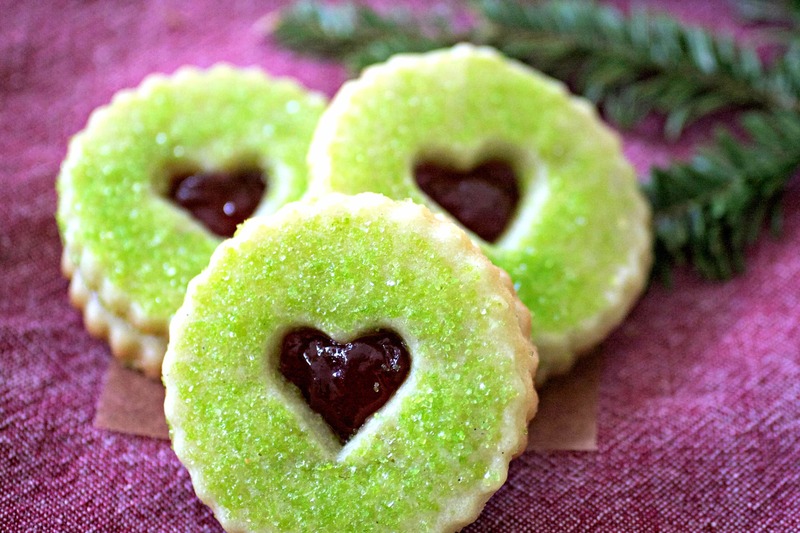 So sit back, put on a classic Christmas TV show and eat a plate of these Grinch Heart Raspberry Filled Sugar Cookies recipe. Don’t forget to save some for Santa too! Place butter, sugar, and salt in a large bowl. 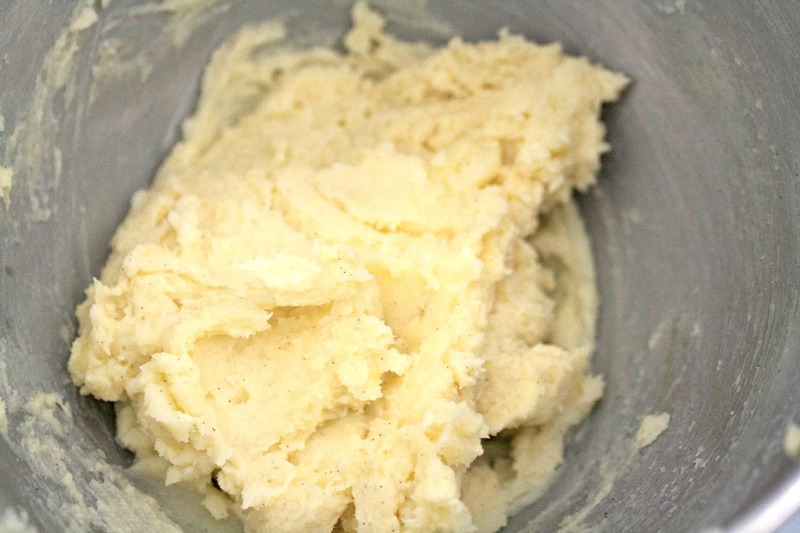 Using a stand-up mixer with a paddle attachment or a handheld mixer, cream ingredients together at medium speed until light and fluffy (about 4 minutes). Scrape down sides, add egg and vanilla, Beat for another 2-3 minutes, scraping down sides as necessary, until well combined. 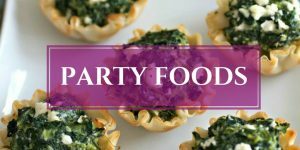 Add 3-4 drops of green food coloring and mix for another minute or until the green coloring is evenly distributed throughout dough and there are no streaks of color. Slowly add flour, 1/2 cup at a time, mixing well after each addition. Dough should be firm, not sticky, but still be soft. Divide dough in half and put each half between two pieces of heavy-duty freezer plastic wrap or parchment paper. Roll each piece of dough to 1/4" thick and place in refrigerator on flat surface for at least 30 minutes. Preheat oven to 350F/176C degrees. Line baking sheets with parchment paper or use a silicone baking mat. Remove one prepared dough sheet at a time from refrigerator. 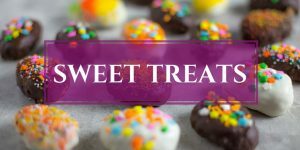 Remove top layer of parchment paper or plastic wrap and cut out 30 cookies using a round shaped cutter with a heart insert. 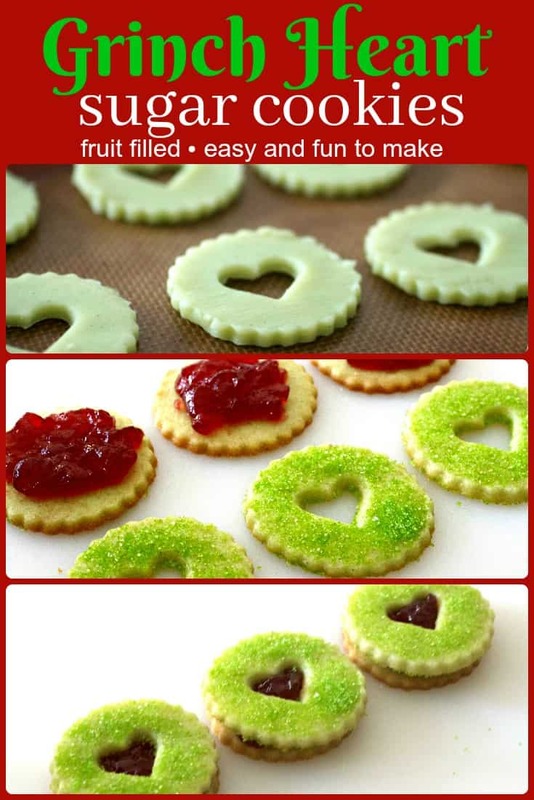 Place on baking sheet and coat the top of each cookie with green sprinkles, if using. Take out other cookie dough sheet and cut out 30 cookies using just a round shaped cutter. Place on baking sheet. Bake 8-10 minutes, or until lightly brown on edges. Let cool for minute or two on baking sheet, then transfer to wire rack to cool. 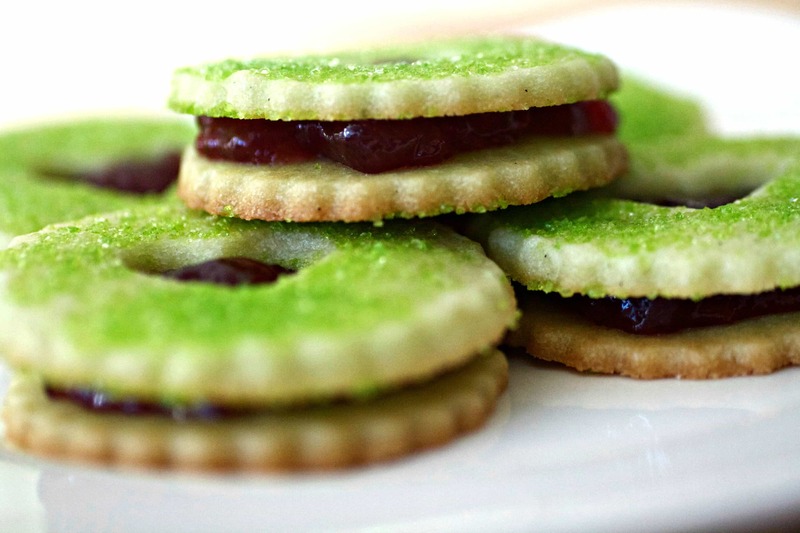 When cookies are completely cooled, take the round cookies and spread a little of the raspberry preserves on each one. 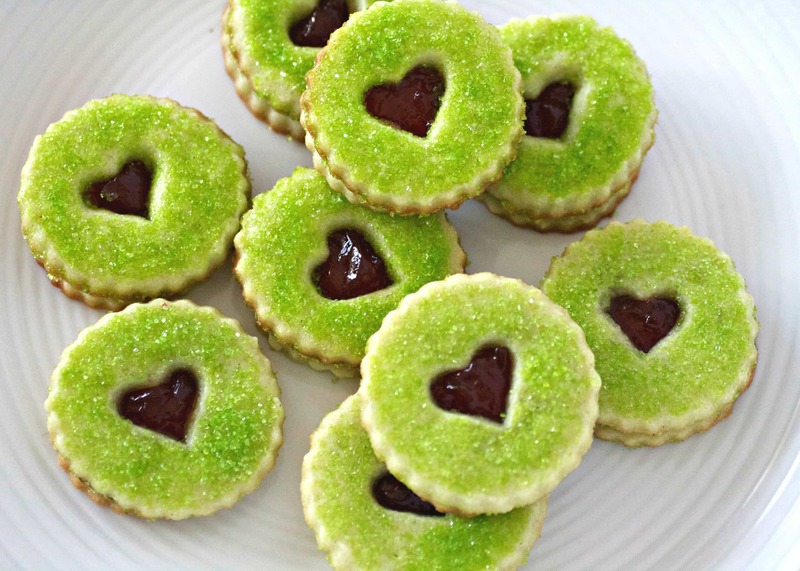 At this point, if you haven't used the green sprinkles, sift powdered sugar on top of each heart cut-out cookie. Lightly press it on top of jelled cookie. If you don’t have a heart cookie cutter, use a small paring knife to make the heart shaped center of the cookie. Store leftover baked and filled cookies in the refrigerator for up to 5 days in tightly covered container. Unfilled cookies can be frozen for up to 2 months after baking in a freezer proof container or bag. Ha I just am loving the “grinch” take on these sugar cookies.. totally wish I had one to devour right now! These look great. Trying them today. 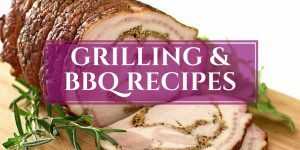 At the end of the recipe it says you can store leftovers for up to 5 days. Is that leftover cookies, or left over dough? They turned out great! This batch was a test run for an upcoming Cookie Exchange. I don’t yet have the right cutter (it’s in the mail) so I used a regular cutter then a small fondant cutter to cut out the heart. I put the cut off dough in the fridge and will make leftovers today. I was thinking of making the cookies ahead of time, and I bet they would freeze nicely without the jelly and could be defrosted/assembled on the day of the cookie exchange. I used white sugar with a few drops of green food colouring mixed in to make the sugar for the top of the cookies. Really fun and different idea. Hello! These look awesome! I’m so excited to make them… have my green sprinkles all ready to go! One question… the recipe states 1cup 2 sticks of butter, so is that a total of 1.5cups (4 sticks of butter?) or is it 1 cup (which is 2 sticks) or butter… because when I increase the serving size, the number of cups of butter changes, but it still says 2 sticks beside the cup measurement. Please advise asap… wanted to bake these tomorrow. Thanks! Hi Julie! Yay and I’m so excited that you are going to make them! lol! It’s 2 sticks of butter for the serving size of 30 cookies. 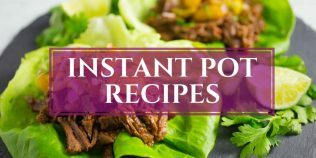 I removed the “2 sticks” text from the recipe because that doesn’t change when the serving size is changed and that’s confusing. 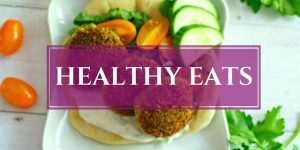 I updated the recipe to be more user friendly in adjusting the serving size, so hope that helps. Please let me know how the cookies turn out for you too and happy baking! Yumm-o. I don’t usually make a lot of rolled cookies so I don’t have many cookie cutters on hand. So for the round cookie, I used the lid off a parmesan cheese canister. 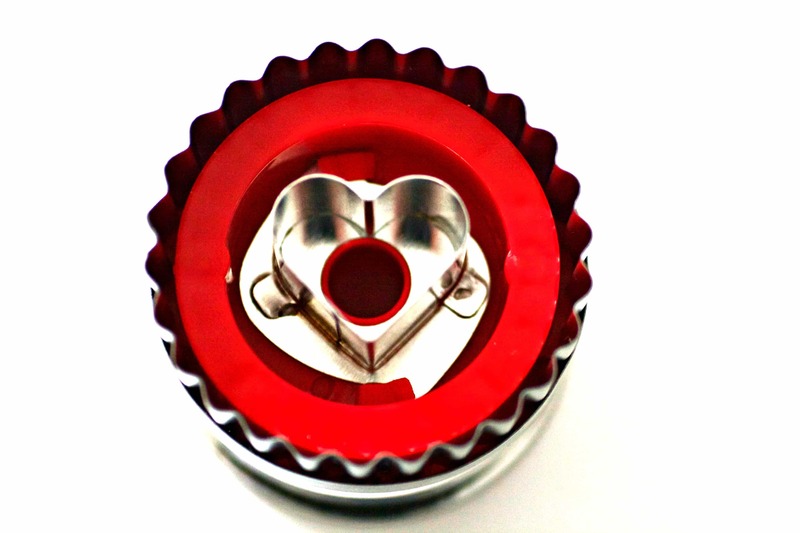 For the heart, I was going to make one from an empty soda can, but I found a pencil sharpener that was new and heart shaped and I used that. As for the jam, I had some homemade black raspberry preserves I made this summer and I also made the sugar sprinkles. 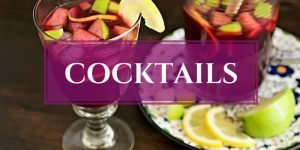 These were super delicious and a new fave in our home. I also am going to try other sugar cookies because of this recipe and I found some Nightmare Before Christmas cookie cutters. 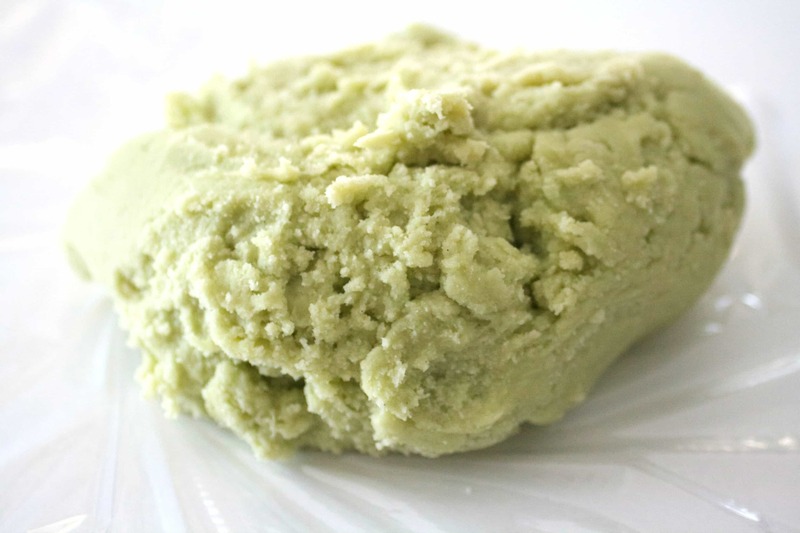 Thank you for sharing this recipe with us, I love the Grinch. Love it Shannon and thank you so much for your kind comments! So happy you and the family liked them. I bet your homemade black raspberry preserves were delish in these and I need to look for that Nightmare Before Christmas cookie cutter. Too cute! Happy holidays to you all! These are adorable – just looking at them is making my heart grow three sizes bigger Great video too!! OKAY LOVE THIS!!!!! SO damn creative and now I have that scene in my brain when the Grinch all of a sudden gets all lovey-dovey!!! You know, I still have that damn green banana flour because I never did develop a Gigi-approved recipe. 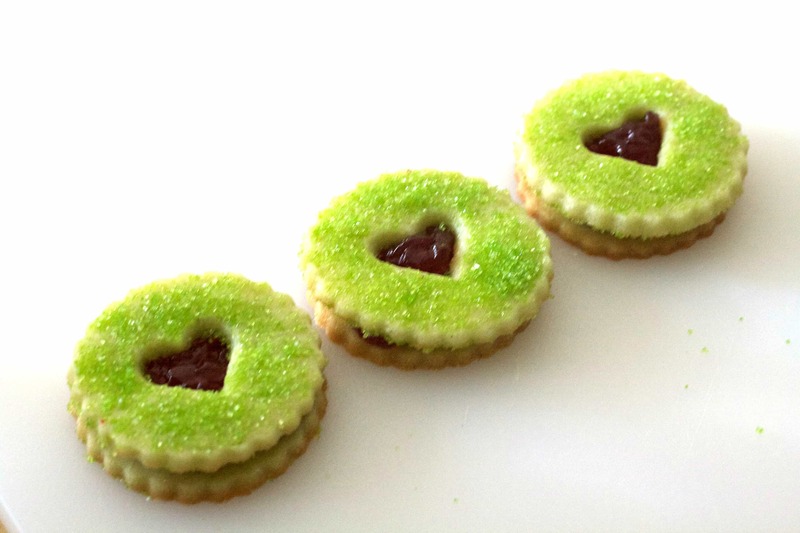 I should try to make these cookies with it, but.then what would I use for the green sugar sprinkles?